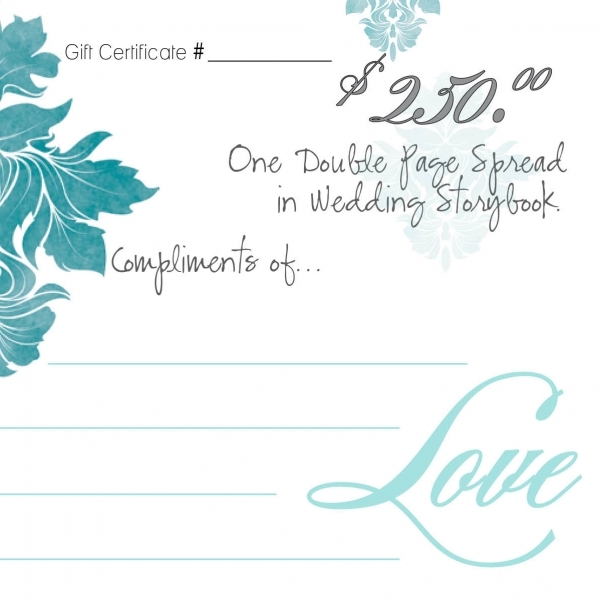 Purchase a page in a couple's wedding story. They are hoping to add lots of wonderful and poignant memories to their customized coffee table book. You can help them build there dream book by purchasing a page or spread. If you wish any other contribution then what you see here, just call and we'll make a card just for you. Please tell us the initials of the bride/groom & date of wedding. The same goes for family. We have some standards listed but feel free to call with a different contribution.